Join Women in Homeland Security’s fourth annual Human Trafficking event to recognize “Human Trafficking Awareness Month” with an exciting program featuring several keynote speakers and a panel of experts. “Human Trafficking – In Your Neighborhoods and Across the Globe” will examine the deepth and breadth of this issue as well as what law enforcement, academia, government, and international partners are doing to raise awareness and combat this threat. In addition to our esteemed speakers, we will feature an interactive art project to raise awareness of trafficking. In 2016, WHS partnered with ArtWorks for Freedom to commission a “Golden Door to Freedom” with messages from WHS members to those being trafficked or those who have escaped trafficking. We invite you to join us for this important session. Dr. Kimberly Mehlman-Orozco holds a Ph.D. in Criminology, Law and Society from George Mason University, with an expertise in human trafficking. 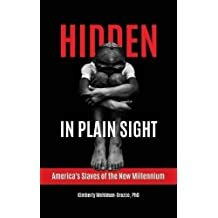 She currently serves as a human trafficking expert witness in criminal and civil court and is the author of Hidden in Plain Sight: America’s Slaves of the New Millennium, which explores human trafficking in the United States. Her second book, The Jihadi Next Door, explores how people are recruited into terrorism. It is scheduled to be released in 2018. SPONSORSHIP is welcome and needed! Contact us if you’d like to support our awareness efforts. January is Human Trafficking Month. Learn more about the Blue Campaign. Copyright © WHS. All rights reserved.